Amazing food, refreshing cocktails, enveloping atmosphere, and interactive magic all in one evening! Anthem and Aria are performing at the beautiful Syntax Physic Opera Every Second Thursday of the month. 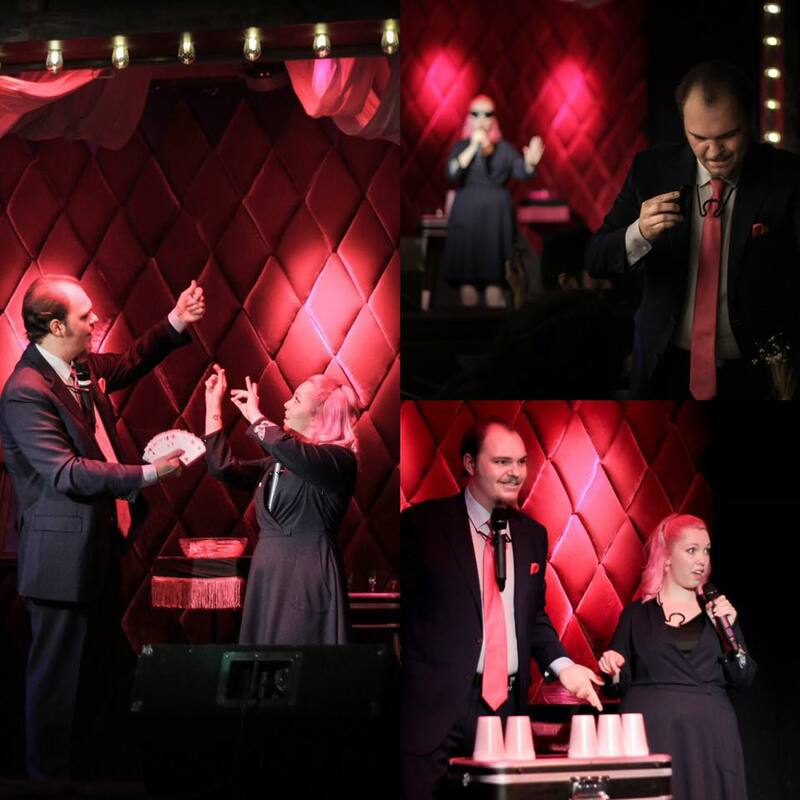 Anthem and Aria combine Magic, Showmanship, Mind Reading, and Comedy to make audiences experience side splitting laughter, heart pumping suspense, and misty-eyed sentimentalism. Cover is $10 at the door. Make sure you arrive by 6:45 to get great seats, drinks and a bite to eat!